Stockholm’s chill vibe makes this bustling city worth a visit. Sweden’s capital city and the largest in Scandinavia is the made up of 14 connected islands and long winter nights. We spent a couple of days in the city to give you a guide to where and how to spend your time. Stockholm is a notoriously expensive city ($10 for the most basic of burgers is considered cheap here), but there are ways to make a visit budget conscious. First, save money in getting there by booking a flight with Norwegian Air. 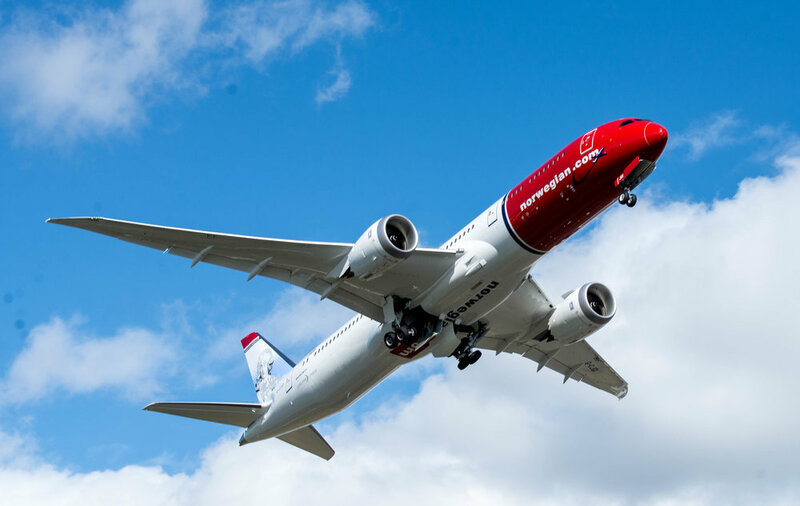 The airline is a perfect low-cost option for getting to and around Europe and if you’re looking to roam through Scandinavia, there really is no other choice. Norwegian covers destinations throughout, so it’s easy to bounce around and discover new cities. Stockholm was the first stop on a trip that also included Oslo, Norway, so it made sense for us. Because of the lower priced options, you may even be able to splurge a little on Premium Class seating, for a bit of extra comfort on the Boeing 787 Dreamliner that handles the trans-continental flight between the States and Europe, as they often have sales to their destinations. Definitely consider Norwegian in your first stages of planning. Check out their current flight deals at norwegian.com. 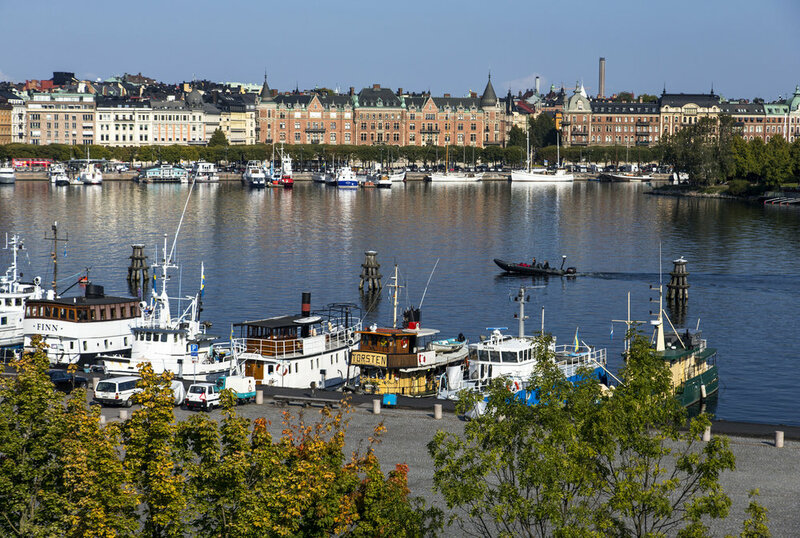 City passes can be a great way to save money on discovering a city’s sights and museums, and The Stockholm Pass is a sightseeing package which grants visitors entry to over 60 of its top attractions, museums and tours. Surprisingly, the Stockholm Pass didn’t include access to public transportation (there’s an optional add-on travelcard for that), but it did come in handy for exploring the city. I suggest taking a look at the site to see if the activities you’d like to do are included in the package. If there’s a least 4 activities on their list of options that you’d like to do, the pass may be worth it. They also have options for 1, 2, 3 and 5 day passes, so that you won’t feel rushed. Get more info on the Stockholm Pass by visiting stockholmpass.com. If you’re looking for a place to stay that’s central to the city, check out the Haymarket by Scandic hotel. Named after the farmer’s market that it shares a square with (Hötorget = Haymarket Square), the property is an old department store building turned upscale hotel smack dab in the middle of everything, making many options walkable. The market itself is a great place to pick up fresh fruit and a local vibe. The entire area is a shopping district, so you’ll have plenty to do. PRO-TIP: On Sundays, the farmer’s market turns into a flea market where you can find plenty of vintage clothing & artwork. If you are a photographer, or a fan of great photography, you’ll want to visit this museum while in the city. 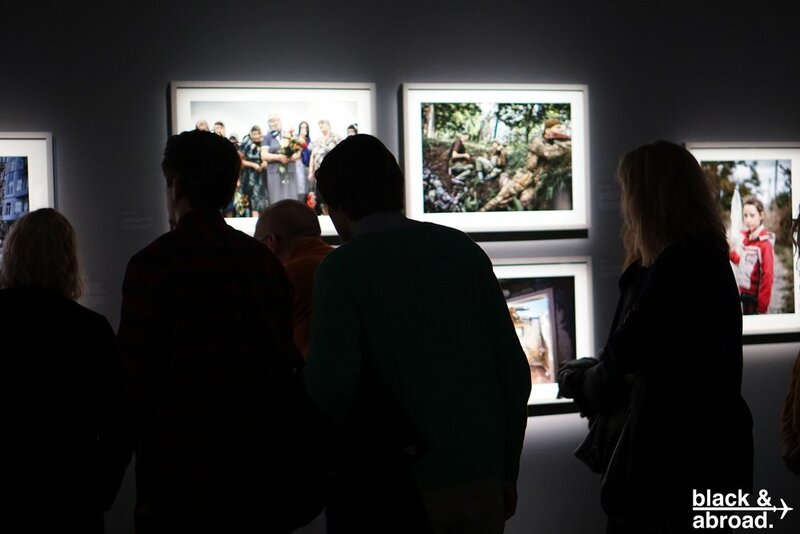 Fotografiska is dedicated to the art of photography and houses features 4 major exhibitions per year and approximately 15-20 minor exhibitions, highlighting both renowned photographers and those discovering their space. You can also take photography classes and meet other photographers, as it was designed to operate as a gathering spot for photography enthusiasts. PRO TIP: After checking out the exhibits, head upstairs to SLR22, a dope bar that has one of the best Old Fashioneds you’ll ever taste. The music is just as good as the drinks. Stockholm’s ICEBAR is the world’s first permanent ice bar, situated in the appropriately named ICEHOTEL. The bar has a constant temperature of -7 degrees celsius (19 degrees fahrenheit). Thankfully enough, your admission includes gloves and a warm coat (don’t even bother taking your own coat off, you’ll want all of the warmth you can get). Along with the warm clothes, you’ll get about an hour at the bar and a complimentary drink, served in a glass made from a block of ice. Definitely worth visiting to get some cool (pun intended) shots: of liquor and of yourself. No trip to Sweden is complete without sampling one of the dishes it's most known for. That’s right, the meatballs! Stop at Drottninghof, a restaurant in the central Stockholm area, for their take of the traditional dish. 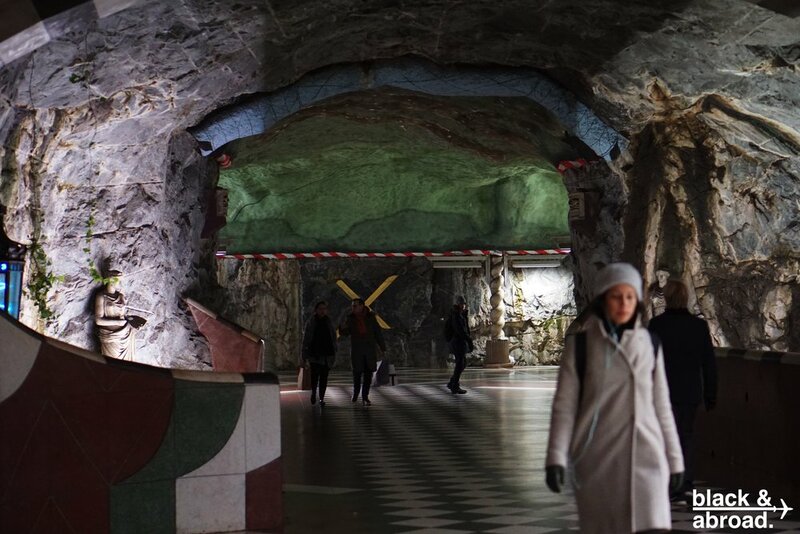 One of the most unique things about taking the subway in Stockholm is that practically every station is an art installation. One of the cheapest ways to get some culture in the city is by traveling underground for a couple of hours. There are tours offered throughout the week, but you could just as easily plot a customized tour for yourself. Another place to visit in the city is the Nobel Peace Museum, located in the Old Town/Gamla Stan area of the city (which is also great for shopping). 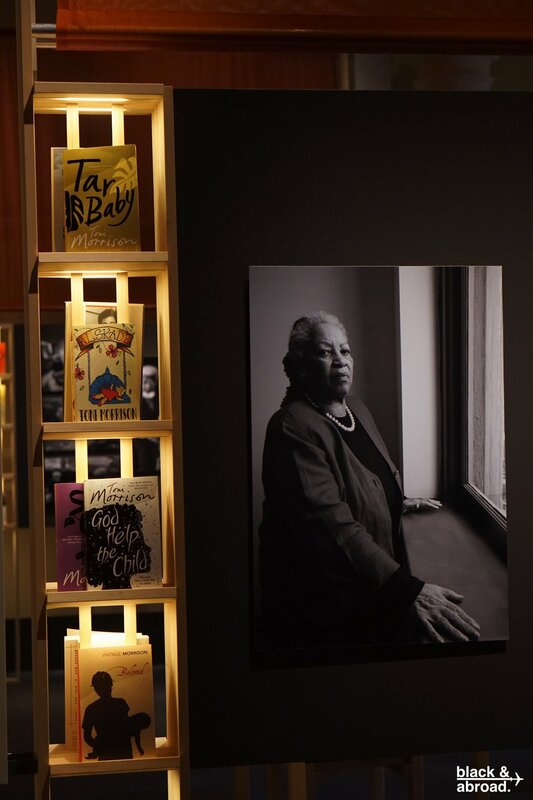 The museum houses the history of the Nobel, as well as insight on its 900 prize winners, including Toni Morrison and Martin Luther King Jr.
Part of Stockholm’s beauty lies within its many islands and the best way to experience the scenery is through a boat ride on its archipelago. There are several options for tours, depending upon what you’d like to experience, but a sail on the waters is definitely something you’ll want to do while in the city. *Special thanks to both Norwegian Air & Visit Stockholm for hosting. Ever been to Stockholm? Did we miss something? Let us know in the comments below!